DELICIOUS!!! Like apple pie! I thought I had dates at home but realized I didn’t so I added some pineapple for sweetness instead. Will definitely try dates next time. Almond milk also worked very well. Made 2 glasses. 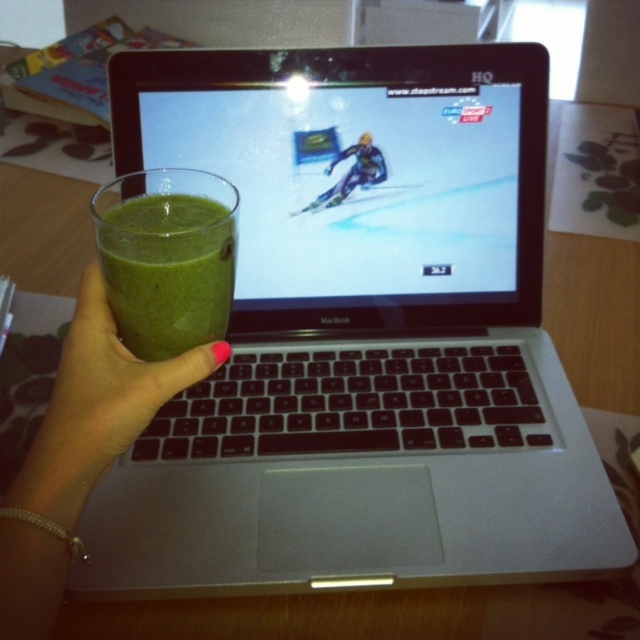 I’m watching my brother race in the Alpine Skiing World Cup. Giant Slalom in Kranjska Gora today. Go Marcus!!! 4. Kale is high in vitamin A, which is great for helping to protect the eyes and skin.